Over the years Mack has garnered much praise for its Granite range with customers describing it as a versatile, tough and reliable truck that offers in-close manoeuvrability and long-haul comfort. 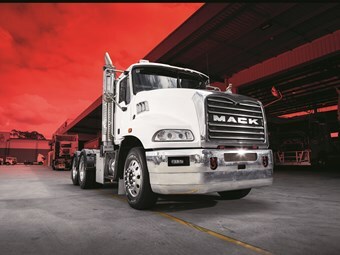 Designed and built in Australia for Australian conditions, Mack says the Granite’s light-weight chassis can carry heavy loads while staying nimble. Its powerful and fuel-efficient Mack MP8 engine makes Granite an "unflinching truck built with true grit". A 2014 version of this classic model is up for sale through Volvo Commercial Vehicles Sydney. The distribution model is perfectly suited to the open highway, or local and interstate work. This Mack Granite is a light-weight day cab prime mover with 24,000kg GVM and long enough for a tipper body with GCM of 50,000kg. It is fitted with a Mack turbo diesel MP8 435hp engine delivering up to 1,840 lb-ft torque. The 12.8-litre capacity engine boasts maxi-cruise torque settings, selective catalytic reduction (SCR) and Euro 5 emission level (ADR80/03). Mack’s trademark mDrive automated manual transmission takes all the effort out of gear changes while maximising driver comfort and payload. This 6x4 axle configuration model also offers great fuel economy and low emissions. Other notable features include airbag suspension, Alcoa alloy rims, fuel haul kit and a Jost fixed turntable. The Mack grade gripper offers excellent hill start assist. Meanwhile, the low-level cab makes it ideal for multi-stop entries. The exterior features include stainless bug screen integrated with grille, heated ‘West Coast’ mirrors with stainless steel arms, and both left-hand and right-hand power mirrors and seven-inch spotter mirrors. Inside, the Granite features a radio/CD player, climate control, in-dash cup holders, two-pocket door storage, interior trim, internal grab handles, overhead storage, power windows, Bulldog soft touch rubber grip steering wheel, integrated seat belt with ISRI ‘Big-Boy’ air-ride premium driver's seat and central locking. The former major fleet truck has been freshly repainted, fully serviced and workshop checked, Volvo Commercial Vehicles Sydney’s used truck manager Chris Cunich says. Full service history of this 2014 prime mover is available so with 531,000 kilometres it’s good to know there’s also a comprehensive record of repairs and component replacements. Asking price is $129,900 including GST. 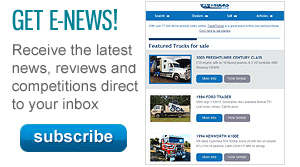 For more information, contact Volvo Commercial Vehicles Sydney on 02 9731 8600. The truck will be on display at the upcoming National Diesel Dirt & Turf Expo held from May 3-5 at the Penrith Panthers Showgrounds in the western suburbs of Sydney. However, it won’t feel lonesome at the show, with Volvo Commercial Vehicles all set to display a range of its products at the expo that is designed to bring together the biggest line-up of earthmoving dealers, machinery, equipment, attachments, trucks, bikes, utilities and more. The Diesel Dirt & Turf Expo is Australia’s largest construction industry event that brings together some of the world’s leading experts in earthmoving equipment technology. This year’s event – the fourth instalment of the expo – will also bring a whole new line-up of entertainment, food, beverage and hospitality facilities and for the first time, a chance for visitors to win more than $100,000 in prizes. It is a good opportunity for fleet operators, asset managers, local government equipment management and contractors to speak directly with industry specialists, and technical and engineering personnel. 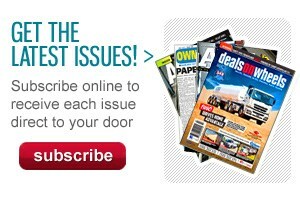 For more details about the expo, visit www.dieseldirtandturf.com.au.